Home / anime / cafe / foodie / kobayashi-san no maid dragon / maid cafe / malaymail / miss kobayashi's dragon maids / news / Kobayashi’s Dragon Maids Café 2018 ready to serve hungry warriors! 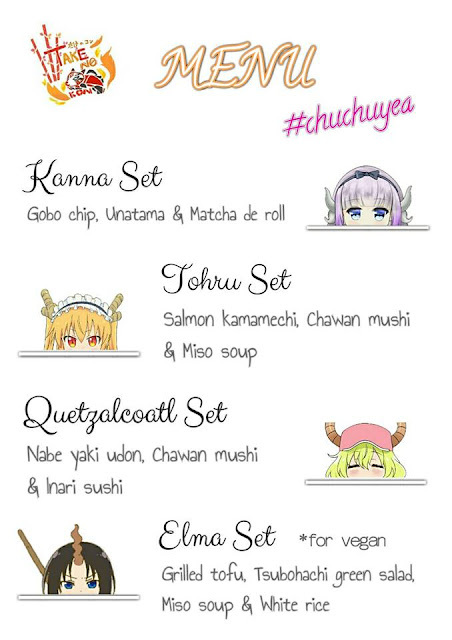 Kobayashi’s Dragon Maids Café 2018 ready to serve hungry warriors! Summoning every brave knight in shining armour, as Kobayashi’s Dragon Maids are coming into Kuala Lumpur to serve hungry customers this 15 April at Publika’s Tsubohachi. 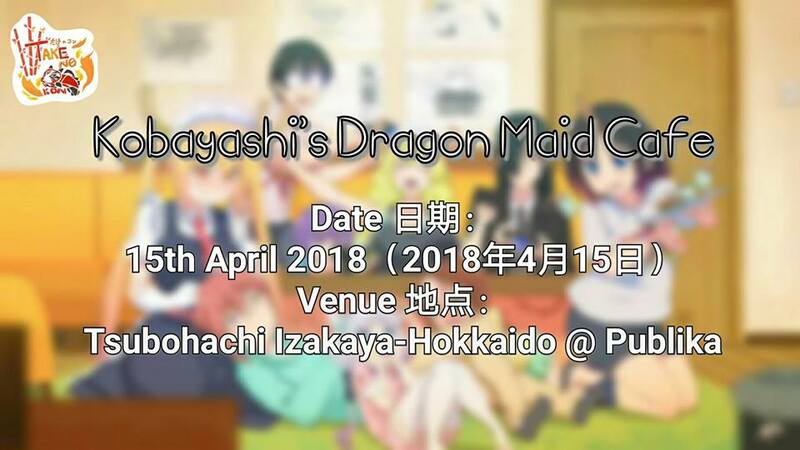 This one-day event is organised by TakenoKon, featuring the “Miss Kobayashi’s Dragon Maid” anime series, where waitresses will be cosplaying as everybody’s favourite dragon maids throughout the day and serving any incoming guests from 11am to 8pm. Visitors are required to pre-order their seats to enter Kobayashi’s Maid Café via an online registration form. Customers are only allowed to choose between one of the three sessions during their visit: 11am to 1pm, 2pm to 4pm and 5pm to 7pm. The restaurant will be featuring a special menu set exclusively available on that day consisting of a variety of Japanese cuisine, from tasty unatamas to warm savoury miso soup. Each set is priced at RM40 each. Kobayashi’s Dragon Maids Café menu. Kobayashi’s Dragon Maids are coming to Kuala Lumpur! 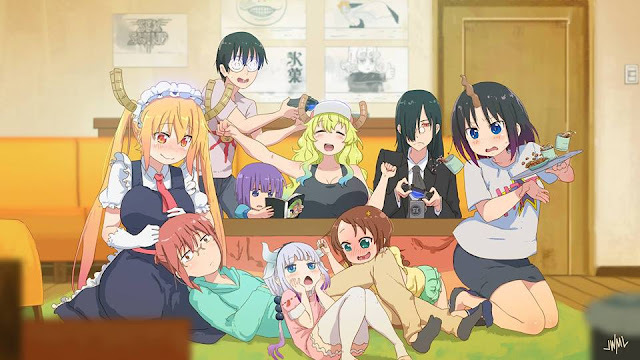 The theme of the maid café event is based on “Miss Kobayashi’s Dragon Maid” anime series from Kyoto Animation which won Crunchyroll’s Anime Awards for best animation, best comedy as well as best ending song with “Ishukan Communication” by Chorogonzu. It is not uncommon for the (APR) to be 100%, 200% or even as high as 400% in some cases.